Untreated Hypothyroidism And Its Risks | Crank It! Hypothyroidism may develop in a person undetected. Changes in body functions are often subtle and occur gradually; the human body also has the ability to accommodate untreated hypothyroidism, at least initially. Furthermore, some of the symptoms of hypothyroidism may be common in a person’s lifestyle like poor eating habits, overwork, weight gain, fatigue, constipation and muscle cramps. Loss of appetite and inability to concentrate can also be attributed to things other than hypothyroidism. The only way to really come up with a definitive diagnosis of hypothyroidism is by testing and with medical assistance. As hypothyroidism progresses untreated, the symptoms indicated above worsen. 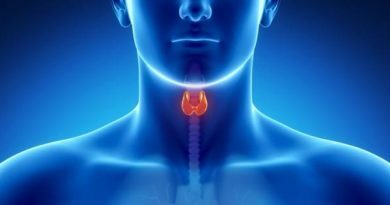 The body attempts to adjust itself to the lower hormone levels produced by the thyroid gland and additional symptoms are manifested. Heart rate and output are significantly controlled by thyroid hormones, which helps blood flow in the body through the relaxation of blood vessel walls. If left untreated hypothyroidism causes heart rate to slow down as it is unable to pump blood as efficiently as before. Blood pressure also rises as the blood vessel walls become stiff. A major risk in untreated hypothyroidism is hypertension. If extreme hypothyroidism develops, it may lead to a dangerous situation called Myxedema. This form of the disorder is life threatening. Fortunately such cases are very rare as hypothyroidism is usually detected before it reaches such an extreme stage. With untreated hypothyroidism the patient begins to experience signs of mental depression. Depression can set in even during early stages of hypothyroidism. If hypothyroidism is allowed to continue untreated for long periods the patient may develop dementia, which causes difficulty concentrating and recalling past events. When hypothyroidism is allowed to persist for long periods of time without being treated, ovulation function can be disturbed as the menstrual cycle itself becomes irregular. Pregnant women risk miscarrying and fetal development may be abnormal with resultant birth defects. Children who are afflicted with hypothyroidism at a young age have a slower growth rate. Development of new teeth for example is delayed and they may have problems with mental concentration. Lower early IQs have also been observed in children with untreated hypothyroidism whilst those who get treatment early enough develop normally. 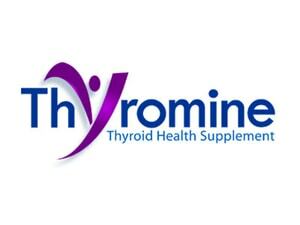 Iodine is essential for normal functioning of the Thyroid Gland. If iodine is deficient it causes a condition called Goiter, which is an enlarged thyroid. Goiter can make swallowing difficult and may also cause breathing problems. These days there is much more awareness among people, particularly women, about hypothyroidism. Therefore, as soon as some symptoms of the diseases appear corrective action is generally taken. Many women also undergo routine checks for hypothyroidism. They are also conscious about the damages hypothyroidism can do to their married lives.